ONGOING. 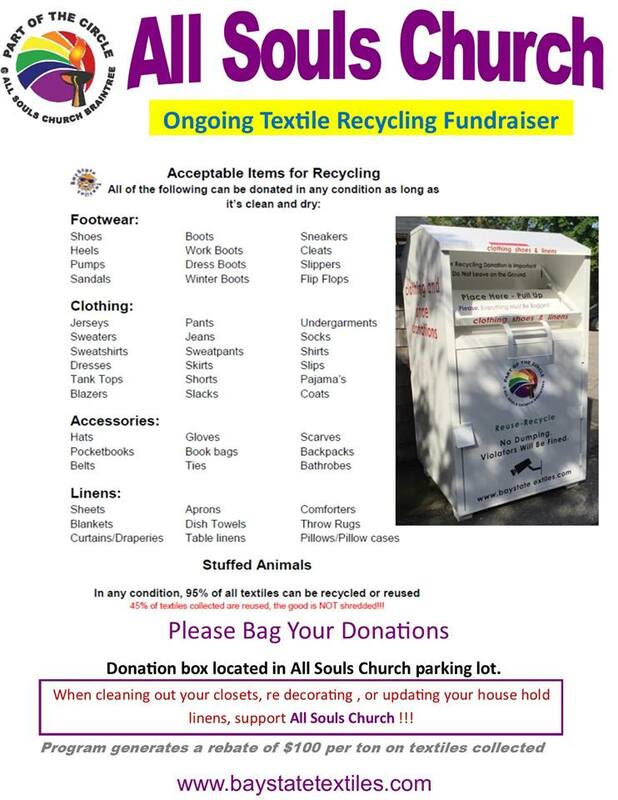 Any time you have old clothing, curtains, towels, shoes ... in any condition ... please bag them up and drop them in the recycling bin located in our church parking lot. If they are not wearable or repairable, the materials are recycled. And All Souls Church receives payment by the pound. Please see the list of items you can drop in the bin.